I am NOT missing the snow that has arrived back in my mountains of Colorado ... I am quite pleased to be in sunny, warm Phoenix working on my computer at one of my favorite places, La Grand Orange. 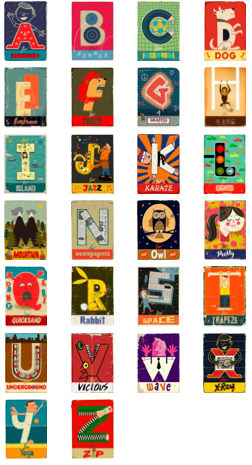 I am loving this take on the alphabet by London-based illustrator, Paul Thurbley. Wouldn't these be fun in a boy's nursery? 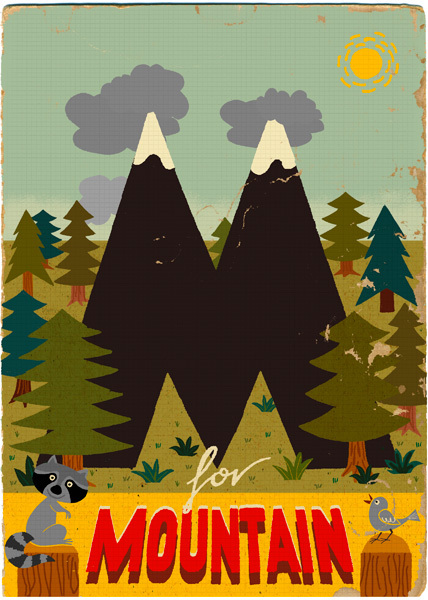 Paul Thurbly's alphabet is available as a book, cards, or prints.